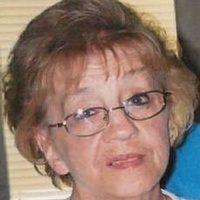 PATRICIA MARZEC (nee Thompson), age 78; beloved wife of the late Ted; loving mother of Laurie Langman (Ross), Michael Ballash and Mathew Marzec (Jill); devoted grandmother of Jennifer, Elizabeth, Michael, Brian and Brittany; dear sister of Willie Thompson (Darlene) and the following deceased: Donna Seink and Frederick Thompson. Friends may call at GOLUBSKI DELIBERATO FUNERAL HOME 4747 TURNEY RD. CORNER of GARFIELD BLVD. FOR VISITATION FRIDAY, MAY 4, 2018 FROM 4-8PM. Prayers will be held at the funeral home on Saturday, May 5, 2018 at 9:30am, followed by a Mass of Christian Burial at Saints Peter and Paul Church at 10:00am. Interment All Saints Cemetery. Online condolences may be submitted at www.GDFH.net.